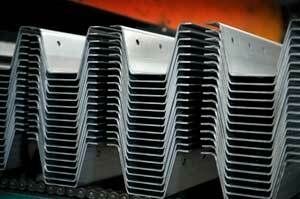 We use steel with a yield strength ranging from 350 MPa for wall rings up to 600 MPa for stiffeners. 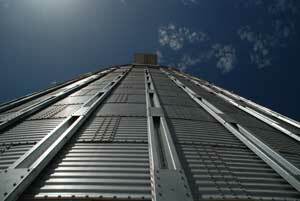 Silos Córdoba is the first silo manufacturer to use Z-600 galvanised steel as its manufacturing standard. This coating contains 600 gr/m2 of Zinc and is equivalent to a thickness of 42 micras per side which makes it longer-lasting even in the most aggressive of atmospheres (as established in Standard ISO 9223). Our high yield strength stiffeners made in galvanised steel improve the weight of the silo which makes for easier assembly and optimises the silo behaviour against the action of external agents. 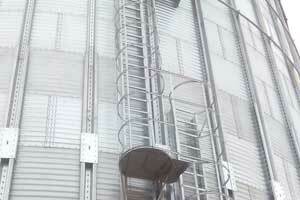 The wave design with a gentle radius means better silo cleaning improving material unloading without any residue remaining so products are not contaminated. Silos Cordoba offers an innovative metal coating, ProMag, with a new aluminium + magnesium + zinc alloy to provide protection in the most demanding environments and gives the material a longer service life. It offers excellent corrosion resistance, up to 10 times more than galvanised steel and nearly 5 times more than Z-600 galvanised steel (600gr/m2). 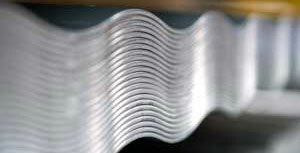 Environmentally-friendly, it uses less zinc than pure zinc coatings so it is the most profitable alternative for the post-galvanisation process. Nowadays, the two most often used standards worldwide to calculate silos are the European EUROCODE and the US ANSI standard. Although they both offer valid and proven results throughout the world, they are based on different calculations. 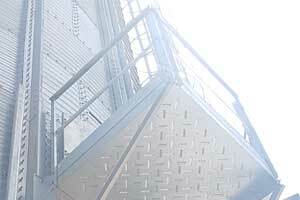 Silos designed pursuant to EUROCODE are more robust. The increase in weight means an increase in safety and reliability. This, along with the excellent materials and coatings used by Silos Córdoba, increases the service life of your system which also increases your profitability. All of the means of access and maintenance on our silos have been designed for user safety and ergonomics and are designed pursuant to standard UNE-EN ISO 14122-2. For storage plantas in extreme weather zones, we have roof protection systems that prevent the entrance of snow into the silo through the chimneys as well as any accumulation in susceptible areas. 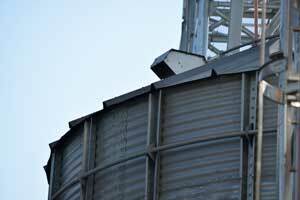 All of our silos feature protective elements to prevent birds from entering. 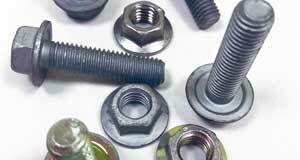 We install 8.8 quality bolts minimum on all of our silos and 3 different coatings, depending on the geographic needs. Saline environments: GEOMET bolts + sealer for 1000 h corrosion resistance in a salt spray chamber. Non-saline environments: bichromate bolts + sealer for 400-500 h corrosion resistance in a salt spray chamber. Upon request: hot-dip galvanised bolts with a minimum average coating thickness of 40-50 micras, depending on the galvanisation standard.